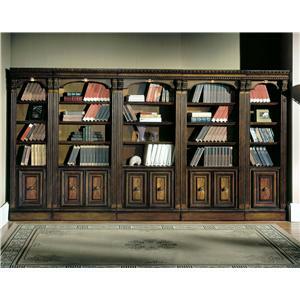 Create your own personal library to store your growing collection of books with this wall bookcase. 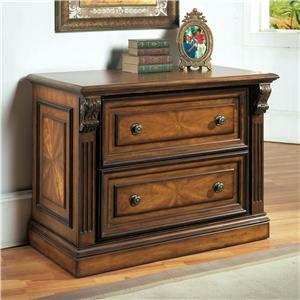 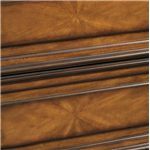 Gorgeous carved details, rich wood finishes, and thick dentil moldings form a luxurious traditional design and style that will be impressive in any home. 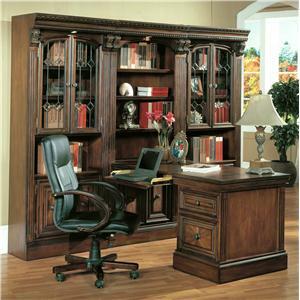 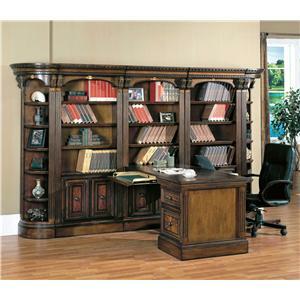 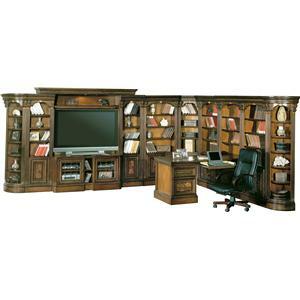 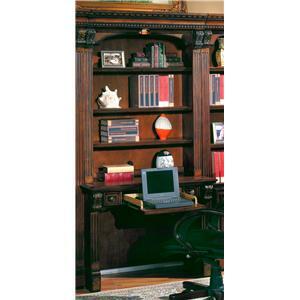 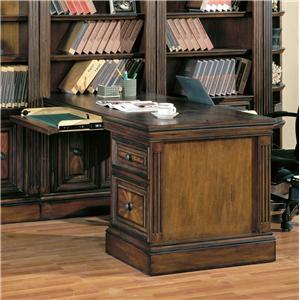 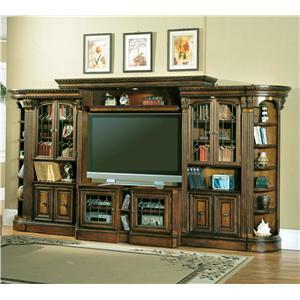 This substantial bookcase is comprised from two (2) outside corners, two (2) thirty-two (32) inch open top bookcases. 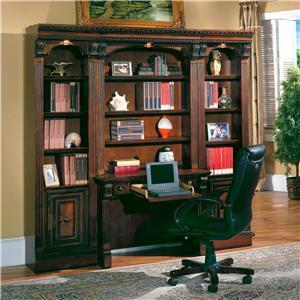 These pieces offer twenty-four (24) shelves and six (6) doors of display and storage space for your books, personal items, and places to display your most prized possessions, highlighted by built-in lighting. 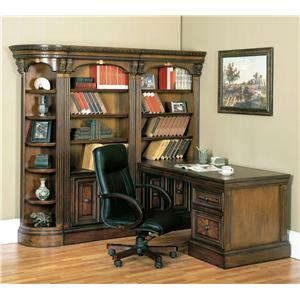 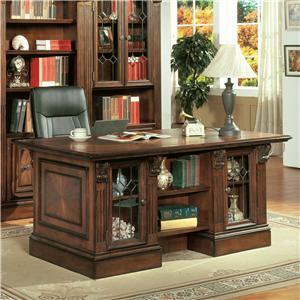 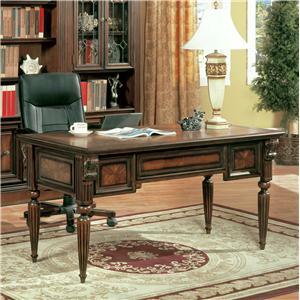 The grandness of this heirloom-quality personal library gives you an impressive sense of old-world classical design. 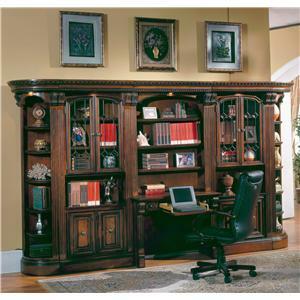 Add this beautiful wall-spanning bookcase into your home to instantly create a warm and inviting space to relax and catch up on your reading. 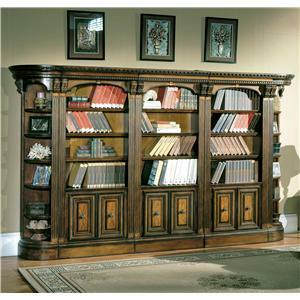 The Huntington Small Wall Unit Bookcase by Parker House is available in the area from FMG - Local Home Furnishing. 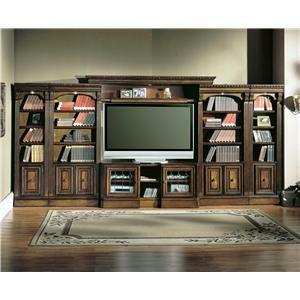 HUN#430 Thirty-Two Inch Open Top Bookcase 3 32.25" 17.75" 80.25"
Storage 24 shelves and 6 doors of storage and display space. 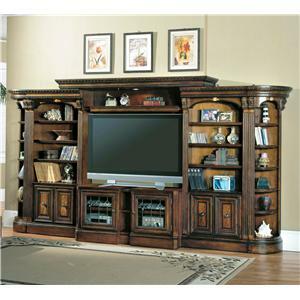 Construction: Case Constructed from Poplar solids with Maple veneers and carved accents, and leaded glass door inserts with beveled diamond pattern.